Welcome to First Detailing Studio – the premium full service Auto Detailing and Ceramic Pro Centre serving Edmonton and the surrounding area. We provide professional auto detailing services such as interior and exterior detailing. 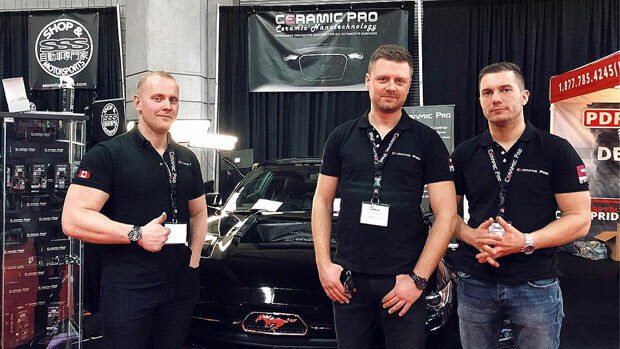 Surface permanent protection by using an amazing line of products produced by Ceramic Pro. We also install paint protection films and window tints. If your vehicle has some scratches then we can help you to make your vehicle look new again, because we know how to do the paint correction process properly. Simply, contact us and tell us a few words about your project. We will be happy to help you with it! We would like you to feel comfortable when leaving your vehicle with us, and we promise that you will not be disappointed by the results! We are perfectionists and continuously invest in our staff training, professional tools and products. We are aware of the latest technologies in professional auto detailing and surface protection industries. 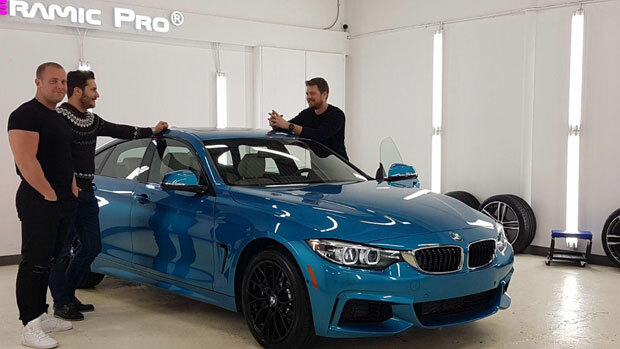 First Detailing Studio is trained and certified by Ceramic Pro Canada and LLumar Canada. Our goal is to build a long-term relationship with our customers by providing the first class services. We are a full service auto detailing Edmonton shop that offers a wide range of services. Exterior & interior hand wash, paint correction, installation of paint protection film, window tinting and Ceramic Pro nano coating. You can get it all done in one place!